Hometown: Neptune, New Jersey, U.S.
Died: February 3, 2005 in Operation Iraqi Freedom. 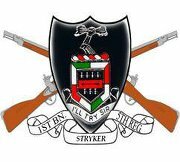 Unit: Army, 1st Battalion, 5th Infantry Regiment, 25th Infantry Division, (Stryker Brigade Combat Team) Fort Lewis, WA. An Army sergeant from Neptune was killed early yesterday in Iraq when an improvised explosive device went off near his truck on a road in Mosul. Sgt. Stephen Sherman, 27, a 1996 graduate of High Technology High School in Lincroft, was the 43rd soldier or Marine with New Jersey ties to die in Iraq since the invasion 23 months ago. Sherman was deployed to Iraq in October from Fort Lewis in Washington. "Our family is deeply saddened, and our hearts are heavy," his mother, Bernadette Sherman, said in a statement released through the public affairs office at Fort Monmouth. "Stephen was a great son, grandson, brother, nephew, cousin and a dedicated soldier who was devoted to making the world a better place. "He died fighting for what he believed in, and our entire family is proud of his service. We will always remember Stephen as a hero, and he will forever be missed by his family and his many friends." Sherman joined the Army in April 2003. He was trained as a chemical operations specialist at Fort Leonard Wood, Mo., then assigned to the 1st Battalion, 5th Infantry Regiment, 25th Infantry Division. He shipped out to Iraq with that unit. He served as a nuclear, biological, chemical noncommissioned officer, directing other soldiers in the use of detection and decontamination equipment. Sherman was traveling in a Stryker combat vehicle early yesterday when he was killed, according to Henry Kearney, a spokesman at Fort Monmouth. No further information about the incident was available last night. 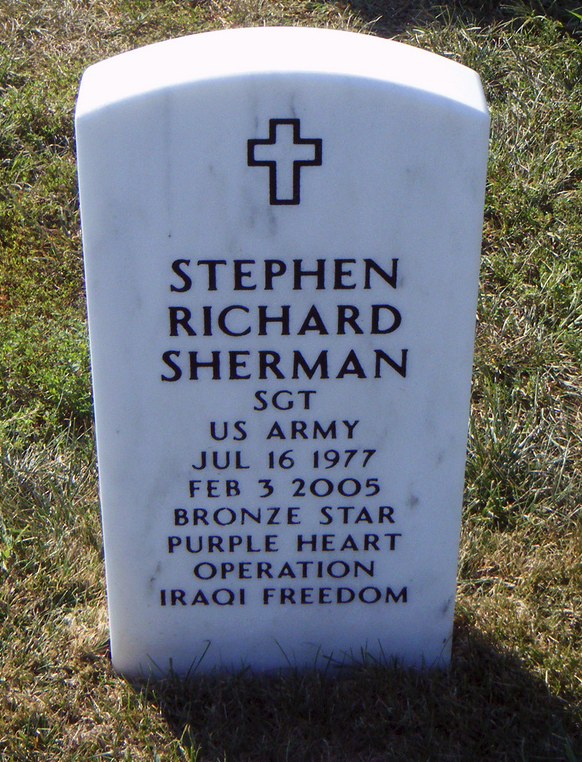 Sherman was born in Virginia and spent the first 11 years of his life in Arlington. His family moved to Spring Lake Heights in 1988 and to Neptune about four years ago. "He was everything you would expect of a good American boy," said Frank Walsh, a former Spring Lake Heights neighbor. "He was thoughtful, considerate, kind. Just the nicest young man. During the storms, he would come over and clear out a path for me or help me clear the driveway. He would never take anything. Not a cent." Sherman was the oldest of four children. He is survived by two brothers, Eddie and Danny, and a sister, Caitlin, all of whom live with his mother in Neptune. His father, Richard W. Sherman, lives in Great Falls, Va.
Sherman spent his freshman year at Manasquan High School, then transferred to High Technology High School, a magnet program on the campus of Brookdale College in Lincroft. He graduated from the University of Oregon in 2001 with a degree in business administration. His interests included outdoor sports and survival skills, his mother said in her statement. He completed an 80-day Outward Bound Excursion survival training course and lived for six months as an exchange student in Melbourne, Australia. Before he enlisted in the Army, he lived in the Cayman Islands, where he worked as a manager of a Budget Rent-A-Car franchise. Margaret Walsh, Frank's wife, said she didn't realize that Stephen Sherman had joined the Army until just before Christmas when she bumped into Sherman's mom at the grocery store. "She told me he was in Iraq," Walsh said. "She asked me to keep him in my prayers." 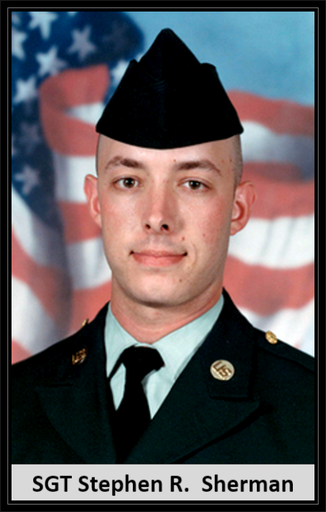 An Army sergeant deployed to Iraq, died February 3, 2005 near Mosul, Iraq, when the combat vehicle in which he was riding was struck by a bomb. Survivors include his parents, Richard Sherman of Great Falls, VA and Bernadette Sherman of Neptune, N.J.; his stepmother, Deborah Tucker of Great Falls; two brothers, Edward Sherman of Great Falls and Daniel Sherman of Fredericksburg, VA; a sister, Caitlin Sherman of Memphis, TN; a half brother, Will Sherman, and half sister, Anne Sherman, both of Great Falls; and his grandmothers, Rose Wilderman of Point Pleasant, N.J. and Beverly Marten of Dover, DE. Friends are invited to join the family at a funeral service at Arlington National Cemetery on Monday, February 14, at 1 p.m. One needs to be at the Administration Office by 12:30 p.m. A reception will follow at Army Navy Country Club in Arlington. Contributions in his memory may be made to Outward Bound USA or the American Red Cross.